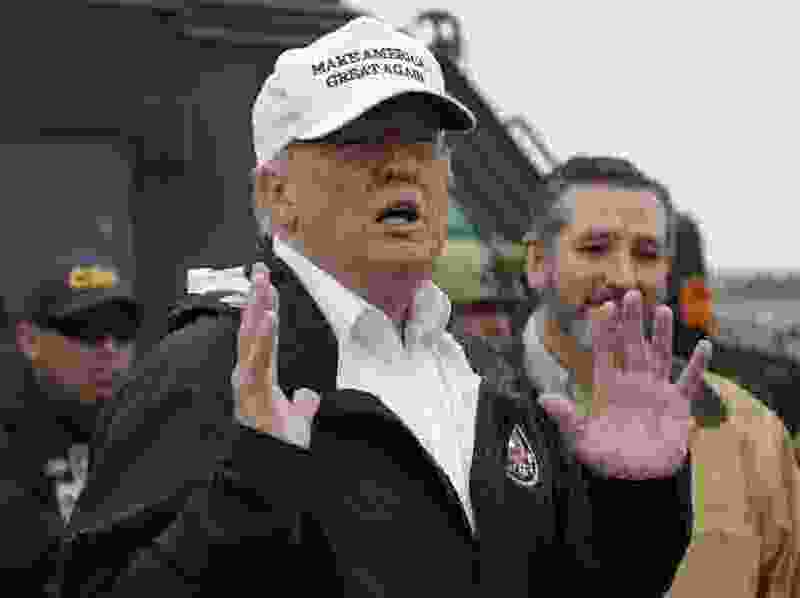 (Evan Vucci | The Associated Press) President Donald Trump speaks as he tours the U.S. border with Mexico at the Rio Grande on the southern border, Thursday, Jan. 10, 2019, in McAllen, Texas, as Sen. Ted Cruz, R-Texas, listens at right. Ten years ago President Barack Obama divided this country. He apologized to other nations and rammed a flawed health care program through Congress. Vladimir Putin did what he wanted, Bashar Assad killed over 500,000 people and four Americans were killed in Benghazi, and Obama and Hillary Clinton did nothing. The economy sputtered even though Obama printed over $4 trillion to hide bad policies. I did not like Donald Trump’s demeanor and still don't. However, he is doing what he said he would do. The economy is booming, unemployment is the lowest in years in all sectors, my taxes are lower, NATO is to start paying its own share and trade agreements are getting better. The past two years have been great. Now, because of the election, we will have two years of getting nothing done. The Mueller investigation will end as a big nothingburger. The Democrats will continue to investigate Trump and the new attorney general will investigate the Democrats. What a waste. It's unbelievable that anyone would want to give up prosperity to go back to the Obama era of a stagnant economy, higher taxes, the world laughing at us and more Americans getting killed because Democrats do not care about what border agents say they need to protect us. Pathetic.